Thanks to recent advances in avian logistics, your friends at VaultPress are pleased to offer a brand new automated restore tool. In addition to restoring over FTP and SSH, and restoring to an alternate site, you can now restore your site using our team of carrier pigeons. You’ll be pleased to know that we’re offering our standard pigeon restore service at no extra cost! Getting started is easy. First, select your backup. Then, pick your pigeon, and provide us with your datacenter’s physical address. 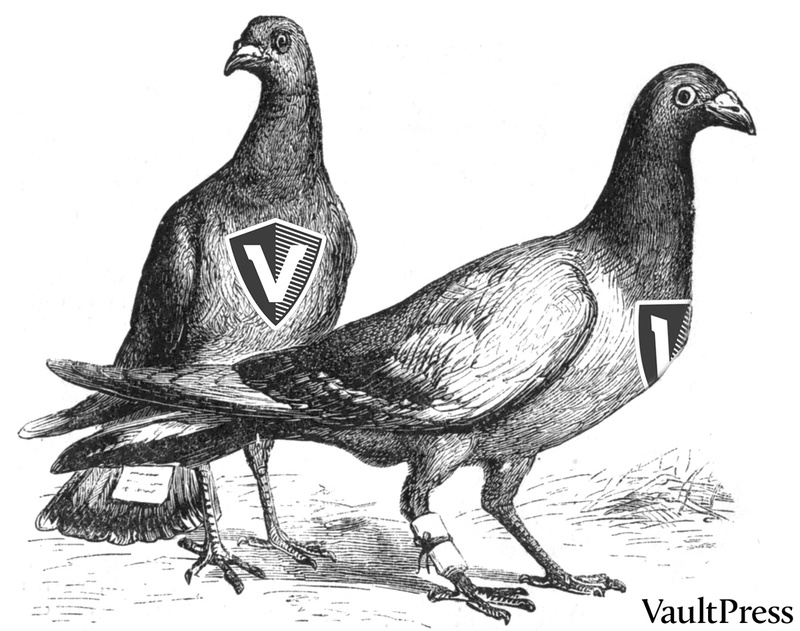 Our technically proficient pigeons will fly to your datacenter, and restore your site posthaste. As our carrier pigeons gain experience, and build whatever relevant muscles that pigeons have, we hope to offer a premium option in the future. As always, please drop us a line if you have any questions! We’re always happy to help. This is a fantastic idea. Pigeons rock.